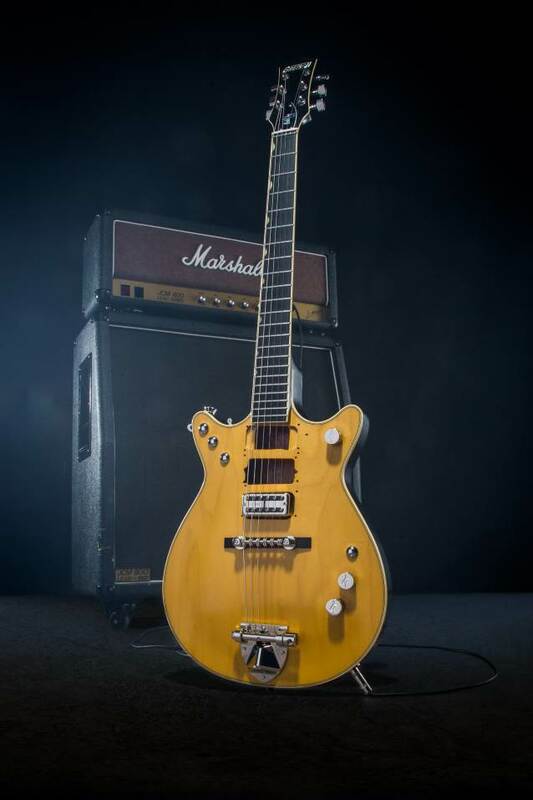 Gretsch has honored the late Malcolm Young, whose rock-solid rhythm guitar swagger and songwriting provided the unshakeable foundation for monumental rock titans AC/DC, with the G6131-MY Malcolm Young Signature Jet. The G6131-MY pays homage to Young's famously battle-hardened Gretsch Jet. Nicknamed "The Beast," Malcolm certainly made the instrument his own, not least by removing two of the three pickups, stripping away the finish, and pounding out some of the hardest and most memorable rhythms the world has heard. "I mean, as soon as you hear that first… chord, you know it's him," said his brother Angus Young. "To do this… you have to be a master of rhythm, and that's exactly what Mal [was]." This model features the essential hallmarks of one of rock's most iconic instruments including "DIY" pickup routes with simulated screw holes, chrome switch plugs, Space-Control bridge with ebony base and '60s-style tailpiece. Open-cavity thunder roars from the thin-skin satin finished chambered mahogany body and is magnified by a high-output TV Jones Power'Tron pickup. "AC/DC had a sound of their own and this guitar was the foundation of the sweet and nasty tone we all know them for," said SOCIAL DISTORTION's Mike Ness. Malcolm Young's fiery rock 'n' roll spirit lives on through AC/DC's enduringly timeless music, and it is Gretsch's great privilege to pay fitting tribute to him with a finely crafted instrument bearing his name. The G6131-MY Malcolm Young Signature Jet will be available November 2018. For more information about Gretsch, visit gretschguitars.com. 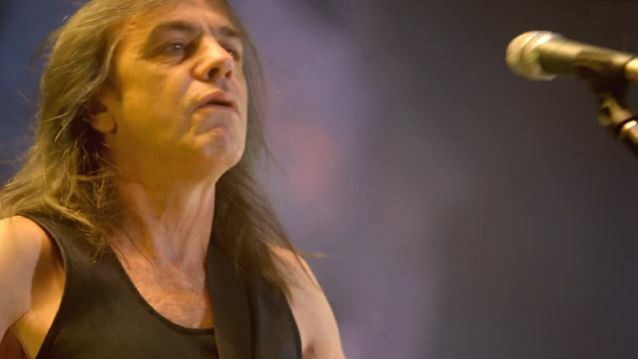 Malcolm, who co-founded AC/DC with Angus in 1973, died in November at the age of 64 after suffering from dementia and failing health for several years. His condition forced him to leave the band in 2014, with his nephew Stevie Young stepping into Malcolm's position.